Are you not able to connect your MSN / Hotmail chat account using Pidgin software or getting "Connection error from Notification server: Connection timed out" message in response? For last few weeks I was getting following messages when ever I try to connect hotmail (MSN) account using Pidgin chat software. The following were the messages I received as response. This problem was shown in both windows and linux machines. Reason :Here the problem is your network is not allowing a connection to "messenger.hotmail.com" on port 1863. Solution : To fix this issue try this: Modify your MSN account configuration by ticking the "Use HTTP method" in Advanced settings. Instructions are given below. Click on the "Accounts" Tab of your Pidgin interface. Select the hotmail account from the list of chat accounts. Click on the "Modify" button. This will open the settings for the MSN account. In some cases it is noted that some chat contents are losed when trying using HTTP method, also some mail notifications are missing. The best solution for this is using Windows live messenger and it works fine and effectively works around such LAN based blocking of MSN traffic. 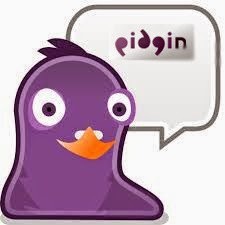 Pidgin Error : Your MSN buddy list is temporarily unavailable. Please wait and try again. How to fix this?